Brenda Pontiff founded Partner Track Academy after years of watching young accountants and lawyers panic over business development expectations related to making partner. So often firms’ marketing staff members are not trained to support non-partners’ revenue generation efforts or they simply do not have the bandwidth to do so. This missing component can be filled through individual, customized coaching and periodic workshops and classes that provide tools, tips, and best practices that lead to improved networking habits, client satisfaction, revenue growth, and ultimately, a coveted seat at the partners’ table. More than 25 years in accounting and law firm sales and marketing. Sold services on behalf of an AmLaw 100 firm, exceeding sales and new client acquisition goals for almost eight years. Created a new sales process for a Big Four accounting firm, taking revenues from zero to $3.7 MM in the first year. Led a Big Four sales support team during the demise of Arthur Andersen, winning 67% of the regional client base while competing against three other international accounting firms. Maintained a 100% success rate while working as a Big Four global strategist to retain critical, at-risk clients. Created a cross-selling client team that increased an AmLaw 200 firm’s revenue by $900,000 through one pitch meeting. Spoken frequently at association events regarding account planning and account-centric methodologies. Worked as a professional stand-up comic, writer, and actress, winning several national awards. Brenda has more than twenty-five years of professional services sales and marketing experience in the accounting and legal industries. After receiving her Master’s degree in Speech Communications, Brenda spent close to eight years with Vinson & Elkins, selling ad valorem tax collection services to residential board directors and real estate developers operating in the municipal utility district space. At Vinson & Elkins, she also provided speech coaching to support attorneys’ business development presentations as well as deposition and courtroom appearances. 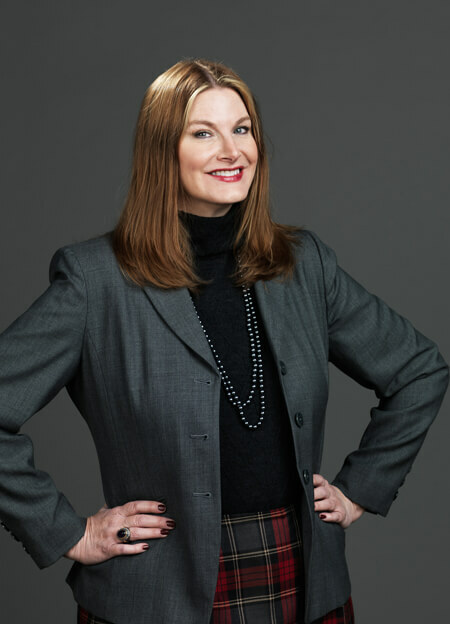 Upon joining Deloitte & Touche as a business development manager, Brenda leveraged her knowledge of law firms to build a marketing program to brand and sell a newly-developed litigation support services group in Southern California, beginning with three service providers and expanding the group to include forty professionals in a few short years. In 2002, during the demise of Arthur Andersen, she joined Ernst & Young to lead the firm’s largest proposal and sales support team which covered Arizona, Colorado, Hawaii, Nevada and Southern California. Under Brenda’s supervision, the team won sixty-seven percent of Arthur Andersen’s regional client base within the year, outperforming the three other major competitors making up the Big Four. After only a year, Brenda was promoted to global strategist where she worked with the firm’s C-suite to retain critical, at-risk, global accounts, achieving a 100% success rate. Brenda has subsequently worked for several national law and accounting firms in various marketing and business development leadership roles. Having also worked as a professional stand-up comic, writer, and actress, Brenda brings to bear a unique blend of skills. She’s passionate about sales and knows the importance of story and humor for crafting a winning pitch. She does not rely on marketing jargon or sophomoric solutions. Her coaching sessions come with tangible tools and action steps to move you forward in your career. She coaches rising professional services stars with empathy, humor, and keen insight into the world they navigate and, ultimately, must conquer.